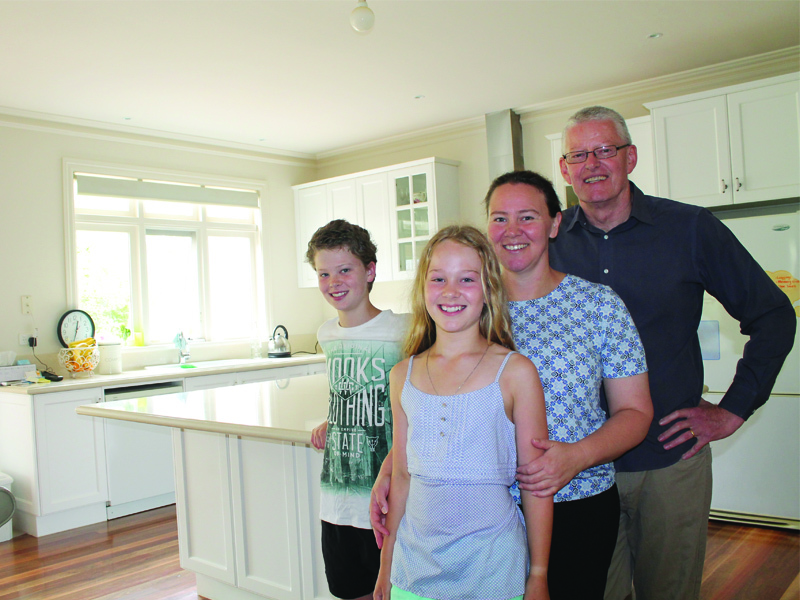 We visited Larry and his family in their custom Highview Home in Mount Eliza. 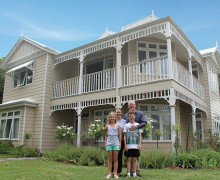 It was easy to see that the whole family love their home and wouldn’t change a thing! Thank you to Larry and his family for showing us their beloved home. 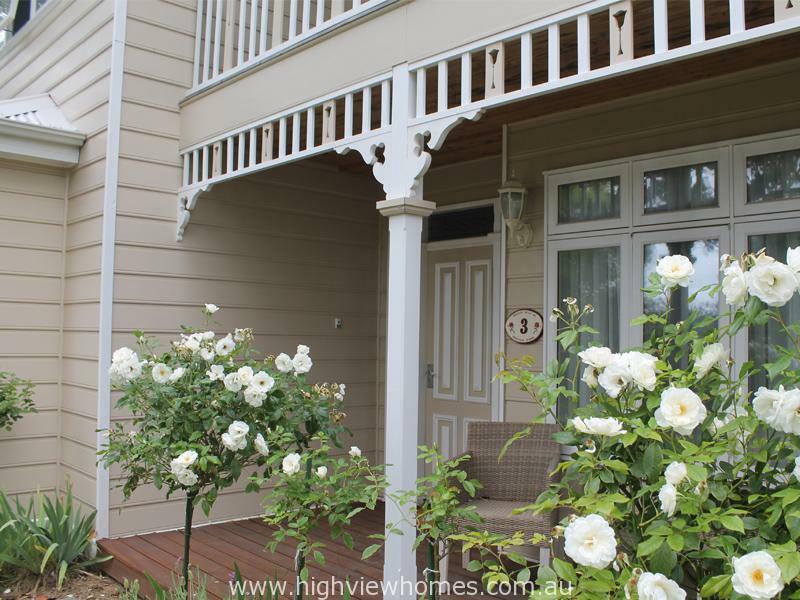 Take a look at some of the beautiful pictures from our visit to Mount Eliza and read about what makes this Highview Home so special to Larry and family. When did you build your Highview Home? We commenced building in 2009 and completed in 2010.
Who do you live with or who has lived here? My children, but currently my mother-in-law and niece are staying with us…. There is a few of us here at the moment! How did you hear or know of Highview Homes? Through a display village. We went from place to place and couldn’t find any home that we liked both the floorplan and the exterior. Some homes had perfect floorplans but we didn’t like the exterior. When we saw the Highview display we liked both. 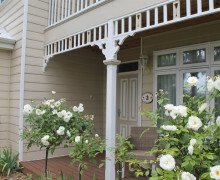 We thought this is really nice- the inside, the outside and the finishes of the homes. We just loved it! 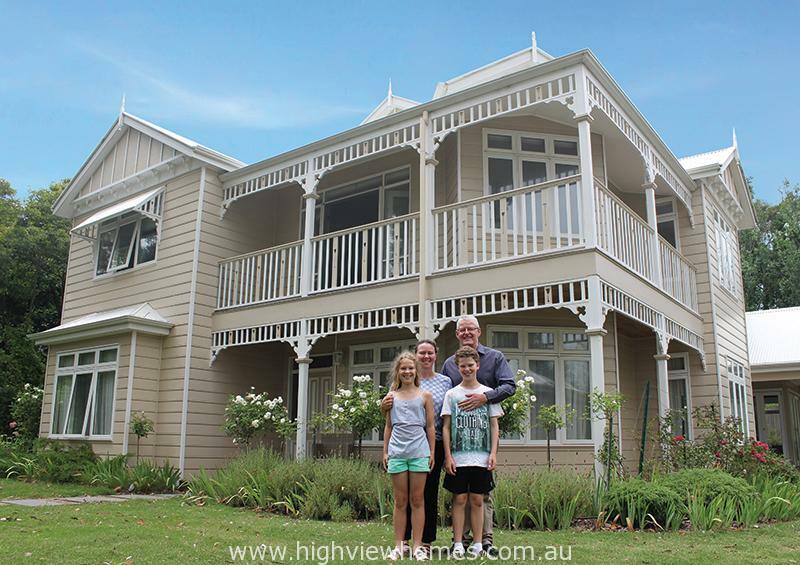 So then we went and had a look at all Highview’s other display homes. The other appeal was that they borrowed the characteristics of heritage homes; particularly the cornicing and the high ceilings. Which floorplan did you purchase? Or was it a custom build? This is a custom build – a combination of a couple of the Highview styles. What attracted you to those styles? Well we went to a display home, a Federation 27. We liked the layout of the home but not so much the facade. We liked the facade of the Seachange. So we borrowed a few of the rooms from the Federation, the facade from the Seachange with the timber, and modified the rest. 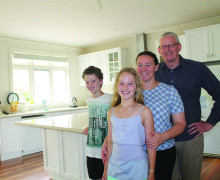 So Highview Homes were happy for you to customise and alter their floorplans? Yes they were very flexible. We would come to them and say, “Oh, we think maybe we want to change this…”. and they would accommodate and come up with different ideas. It took us a long time to decide on the floorplan, we just kept changing our minds – we wanted it to be right. I like all the rooms. But the living is probably our favourite because we spend a lot of time in there. We designed it so it was open so that when we have people over and Larry is cooking he is not isolated – he is still around everyone. Everyone sits around and we talk, and it’s a really nice place. In one of the other living rooms I just loved the big windows – that is one of the things that sold me at the display homes. I also love the facade. Every day I drive up the drive way and I look up at the facade and I just think it’s beautiful, and it is often a nice backdrop like today with blue sky with trees and I just think that it’s nice looking.. it’s a really handsome home. What is your favourite memory of the building process? Initially it took a while to actually start the build because we had to knock down the existing house. Once they started, Highview built it very quickly and they knew that we were unhappy where we were staying in the interim and they tried to accommodate as much as they could. I think that the whole building process exceeded what I expected…. you know everyone says that the building process is very stressful but I was fairly excited the whole way through. It was not stressful at all. They were really genuine and they went about it the right way. If we had an issue it was really simple to pick up the phone and talk to them. They would work out a solution, and whatever they had to do to fix it. What do you think of when you think of your Highview Home? I think of really nice homes. Their homes are different – I know when people see our house they are a bit surprised because it is different to the common houses in the area. They are good people to deal with. They are pretty straight shooters, and we are as well, so the process worked really well for us. I have spoken with Highview a few times since our build, they want to know that people will love their home – and still loving and living in their homes. What is the most memorable comment someone has ever said about your home? And what he said I nearly fell over…. he said he just loved it, he watched it being built and fell in love with the house.